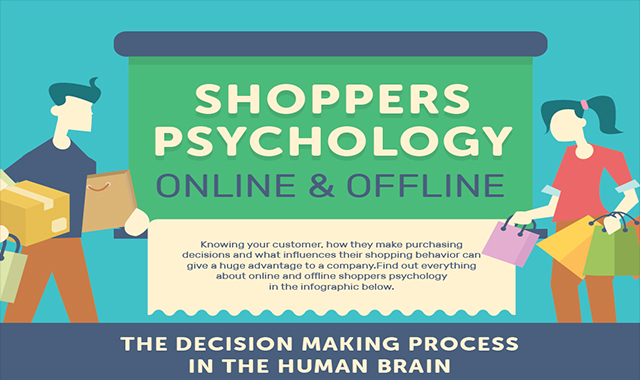 Shoppers Psychology Online and Offline #infographic ~ Visualistan '+g+"
Attention shoppers! How many times have you tried browsing for the perfect product but had to settle for a decent value purchase? Have you ever wished you knew how your mind works when it comes to determining whether a purchase has a good price-quality ratio or not? Obviously, we’ve all been there, and the grass always looks greener on the other side. Namely, your mind works in mysterious ways, and the large marketplaces know how to take advantage of it. Eventually, most of us are encountering a situation where the more choices we get, the harder it is to make a decision.